﻿ We supply different type of fiber cable,such as OPPC cable,OPGW cable,OPLC cable etc. 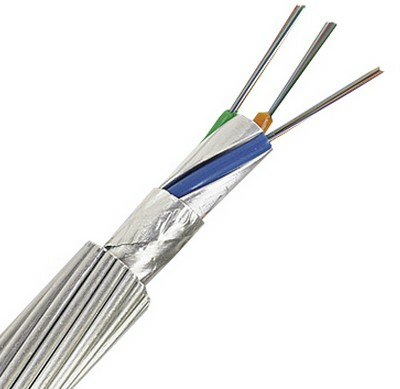 The Aluminum tube is surrounded by single or double layers of aluminum clad steel wires(ACS) or mix ACS wires and aluminum alloy wires Aluminum wires / Aluminum alloy wires Optical fibers. Aluminum. OPPC cables have the dual functions performance functions of phase conductors with communication capabilities. Replacing one of the three phase conductors with OPPC, thus to form a transmission line which consists of one OPPC and two phase conductors. OPPC can meet durative high temperature resistant which verified by Temperature Cycling test and Short Current test. OPPC is applied to middle & high voltage power lines without ground wires such as 10kV, 35kV, 66kV and so on. Telecommunications for middle & high voltage power lines in urban and rural areas;Providing optical cables for building distribution automation station.